The Credit Union Bank is a not-for-profit co-operative dedicated to promoting saving money, and dealing with debt. Originally established in 1997 to provide savings and loans for employees of London’s borough Councils, now anyone living, working or studying in a particular London borough and the City of London can become a member of the credit union. New powers that were introduced in January should allow credit unions to provide a real competitive alternative to lenders that charge unreasonable interest rates, payday lenders, or loan sharks. Credit Union banks are a great resource for those on low incomes or who are vulnerable financially. There are no arrangement fees or management charges on loans. There are no management charges on savings. Credit unions can organise activities to educate members in the use of money that gives them greater control over the management of their financial affairs such as budgeting plans and sessions. Credit unions are a practical example of people helping people in a community. Credit unions don’t allow customers to go overdrawn, as they don’t offer overdrafts or cheque books. If there are not enough funds in your account to pay direct debits or standing orders there is generally a small charge or fee when these are returned. Credit unions work with their members to help them manage their money. The credit union serves the interests of members and no-one else, as there are no outside shareholders or borrowers. 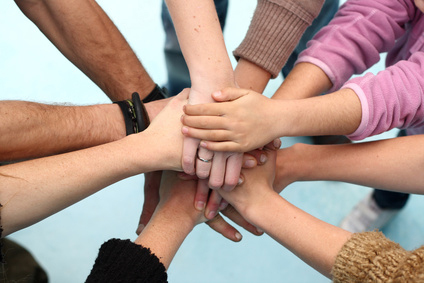 Members run the credit union through elected committees usually made up of people living in the community. Some of the staff work on a voluntary basis, so costs are kept low. Loans can vary with their interest rates, but in general credit unions are good for small borrowing. David had been homeless in Victoria for years. He wanted to move into independent accommodation but before he could do this he needed to make sure his credit rating was alright. After a session at the local community advice centre for debt and finance David was advised to open an account with the local borough’s Credit union. As it stands David cannot get an account with a regular bank. But with a credit union account he can get his benefits paid in and also pay his bills. His Post office account only allowed transactions for his benefits payments. David is now more confident about dealing with his finances as he realises that the Credit Unions are actually on his side and want him to improve his credit. This will impact him greatly in a positive way in the future as your credit rating can hold you back and alienate you from society if it isn’t dealt with properly.